We often get accessed what plugins does my website need or what are the must have plugins for every wordpress site? We have listed a useful list of must have plugins as well as useful plugins for business websites. Security is going to be a big concern for online business owners in 2017. Web application firewall is probably one of the best protection you can get for your site. Our number one security plugin recommendation. The free version has lots of options for you to start off and you can then go to the pro version for more advanced security features. Does your hosting provider backup your website? Ensure your hosting provider has backups done daily if possible and kept on rotation. If you are unsure, you can install BackupBuddy and manage your own backups offsite. Add captcah code to your site. This will display in blog comments, contact forms, login page. This will help reduce spam. Add an app to your smart phone for Google Authenticator. When you login you will need to use your app to enter a code that is generated every 30 seconds. This helps prevent hackers trying your logins. W3 Total Cache allows you to serve compressed and cached files to your visitors. Simply integrate your Google Analytics account. 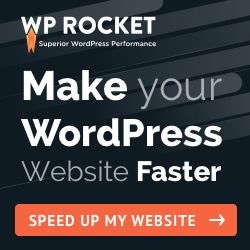 This plugin is great as you can view your analytics at a high level straight in your WordPress dashboard without having to login to Google Analytics. Do you ever get give scripts to add to your header or footer on your website? Normally you would need FTP access and know where to put the specific code in the header or footer area. This plugin allows you to simply add the scripts without knowing any technical information. Duplicate pages/posts. Do you have a page that you just want to copy and just change the text without building the page from scratch? Try this plugin. Want to sell something online? Woocommerce is an easy e-commerce tool to use! Comes with so many advantages and additional plugin extensions.